You have probably heard about how content marketing and SEO practices can help you generate leads and stand out from your competition in the vast expanse of internet-based marketing. It is true that content plays an integral role in company marketing, but content marketing can be truly effective only if the content is a well-written, high-quality piece. 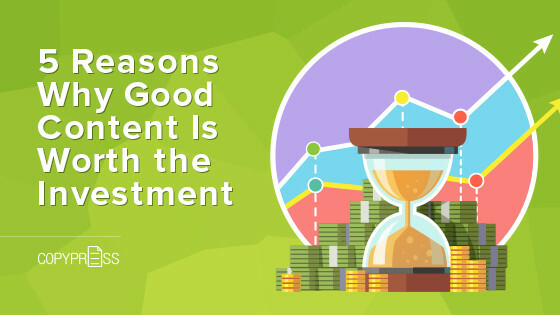 Check out these five reasons why good content is worth the investment. As compared to other forms of online marketing and other traditional printed marketing material, content marketing can get you a significantly higher return when compared with what it costs to create. When compared to paid search dollars, content marketing can gain you triple the leads per each dollar spent. What’s even better in terms of ROI is that your content marketing will continue to get you valuable leads even after its initial use. Content that is shareable, addresses needs, or answers questions that your target audience may have will have a much longer shelf life than printed pieces or paid search functions. With each new share or time your piece pulls up under search results, you will have another chance at generating a new lead without any additional cost. One of the primary goals of content marketing is to drive traffic to your site and get your target audience to engage with your company online and eventually become a satisfied customer. It is estimated that half of adults ages 18 to 49 will seek out news, information, and answers to their questions online. With such a large percentage of online knowledge seekers, the best way to get them to engage with your website and expose them to your company is by providing valuable content or the answers to their most commonly asked questions. Great content will not only provide you with more traffic but will help readers begin to see your company as a trusted source for information on the topics in which they are interested. While traffic does not always guarantee qualified leads, it is important to realize that online marketing can be a numbers game, with more exposure to a higher volume of people resulting in more engaged customers. When compared to more traditional marketing techniques, good content marketing has one of the highest conversion rates. More than 60 percent of those who read about a product on a blog will try it or make an effort to find more information about the company or its offerings. This shows how high-quality content can create that link between a company’s products and services and the customers within its target market. Content is a great marketing medium that can lead the buyer through each stage of his or her journey while promoting conversion. 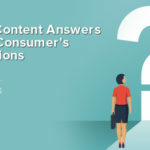 Those creating well-crafted content will take into consideration the identity of target buyers, what they are seeking, and what prompts them to make a decision. Ultimately, it will demonstrate how the product or service could bring value to potential customers during each stage of the buying process. It guides them gently to the end stage, which is the point at which they are converted to a qualified lead. One of the primary goals of online marketing is to expose possible prospects who would fall into your target market. To accomplish this goal, you must get your content in front of as many readers in your audience as possible. Well-crafted content will make good use of keywords most often searched by your buyer type as well as backlinks that can continue to guide and direct your customers to other valuable information. 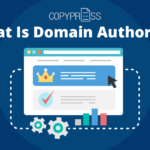 Utilizing appropriate keywords can help your content rank higher when those terms are searched, creating visibility with a customer who would potentially use your product or services. 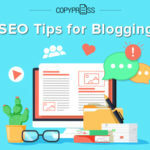 Poor content will often use keyword stuffing or will not implement keywords or backlinks at all, which is the kind of content that could get flagged by search engines or may be difficult for your customer base to understand. 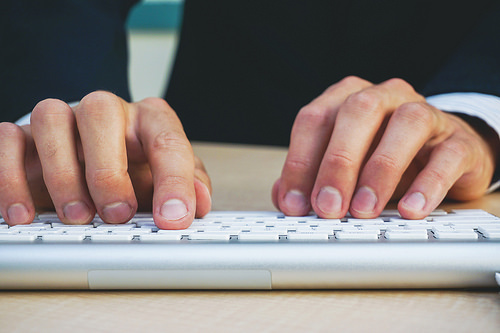 If properly used in content marketing, these keywords will sound natural and will help keep the reader engaged. To get the quality leads your sales department needs, you will need focused and valuable content. One factor that separates great content from mediocre content is the fact that great content will be focused with a specific buyer persona in mind. Attracting the right prospect is essential to drawing in leads that the sales department will have a greater chance of converting. 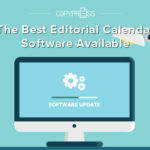 A mistake many content marketers make is using content that is catchy or draws readers to the site, but in the end, provides little useful information for the market they are targeting. While traffic is important to content marketing, attracting the right traffic is essential to achieving your end goals. While good content may take more time or cost to generate, it is definitely worth the return because it is one of the most effective marketing tools in an online environment. High-quality content is essential for gaining repeat visitors and providing your prospects with the information they want and need. Not only will quality content make your business more visible, it will help establish you as an authoritative or reliable source of information. The key to making sure you get quality writing that will help you gain recognition is by trusting your content needs to a professional writer who knows what it takes to provide stellar content. Investing in good content should not be an afterthought. 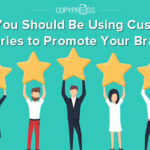 Companies can gain recognition, convert leads to sales, and become an authority in their industry by consistently churning out well-ranked and well-done content.